Looking for a short party dress with attitude? Imagine wearing this stylish and sassy short sheath dress at a cocktail party on the deck of a cruise ship or in the gently flowing tropical breezes at a destination beach wedding. Trendy details make this casual party dress work well at semi-formal events too. 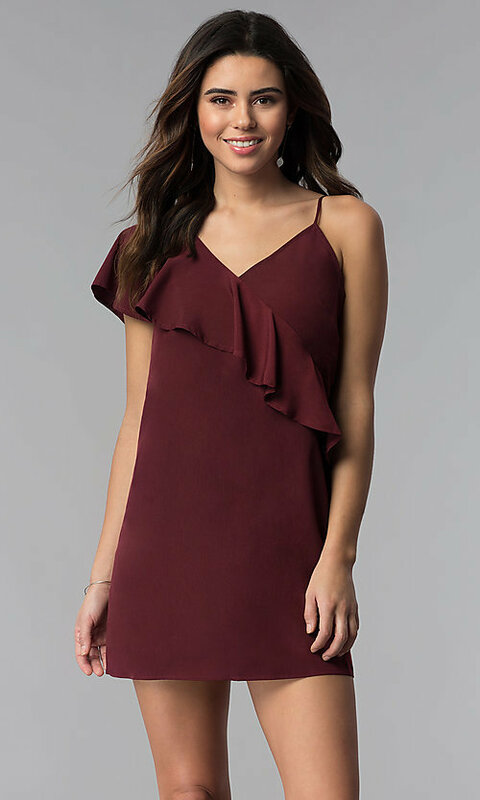 The chic v-neck sateen party dress features a one-shoulder asymmetrical ruffled flounce to add a feminine touch. The other shoulder has a barely-there thin strap that is adjustable for a comfortable fit. 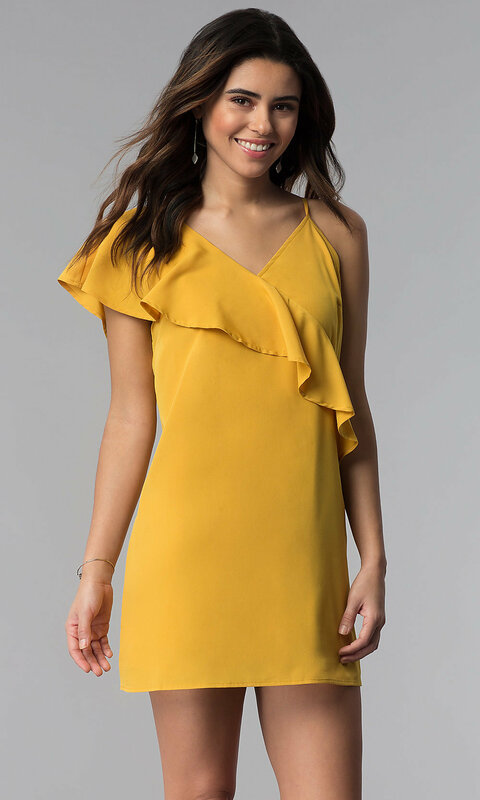 Versatility meets affordability in this easy-to-wear short party dress, under $50, that blends feminine detail with contemporary style.